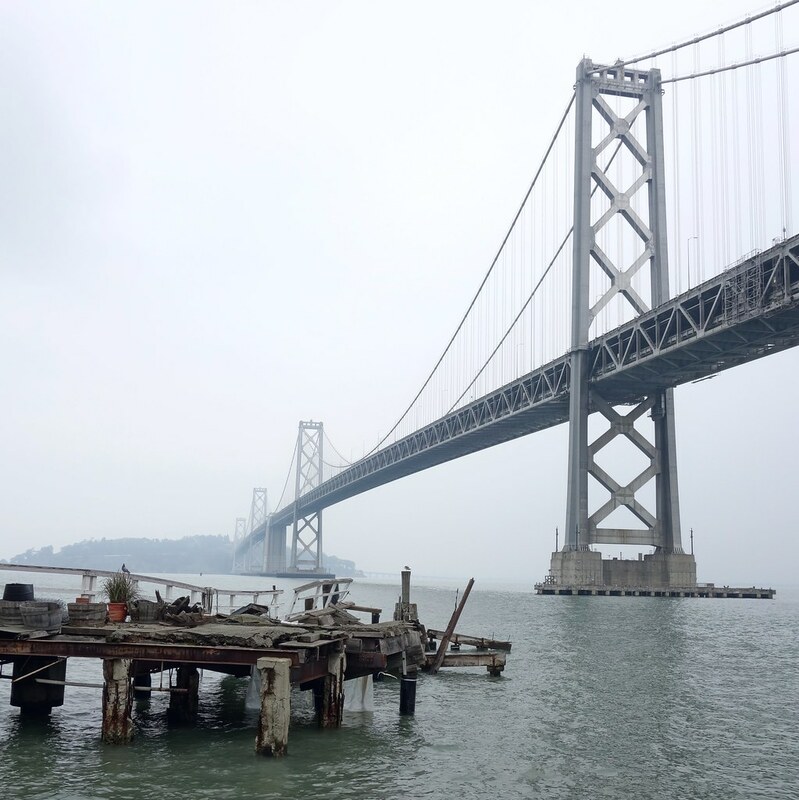 Waiting for the last of the morning fog/haze to clear up, while looking across San Francisco Bay by the Bay Bridge last week. 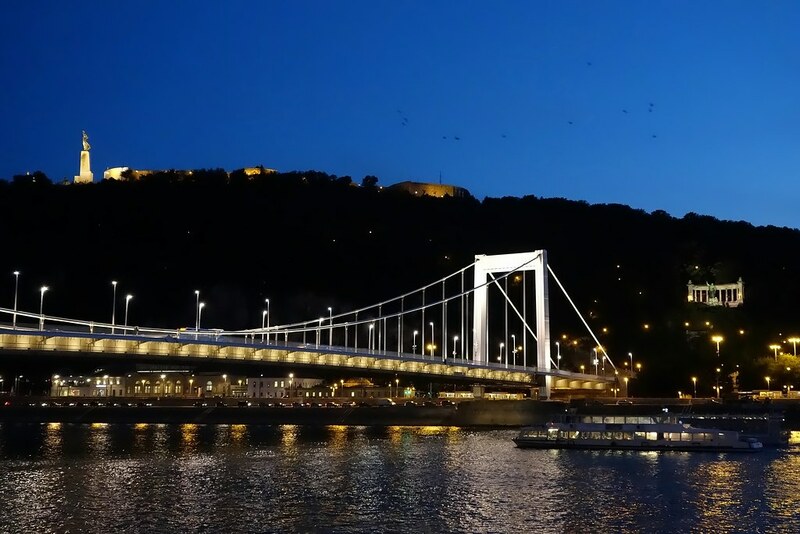 A late-evening snap from a visit to Budapest back in September 2015. 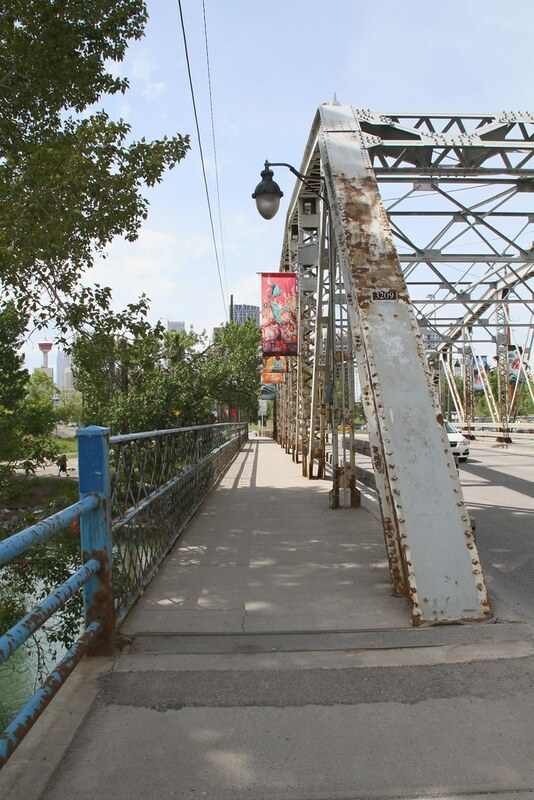 The city of Calgary says the 9 Ave. bridge connecting Inglewood and Ramsay to East Village has reached the end of its useful life and is due for replacement this year. 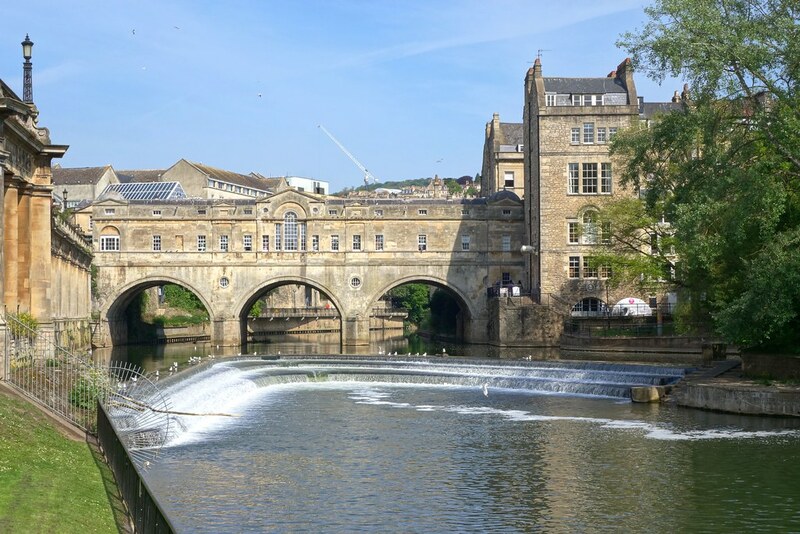 The Pulteney Bridge and the weir on the River Avon in Bath, England, seen from a viewpoint in Parade Gardens about a month ago. 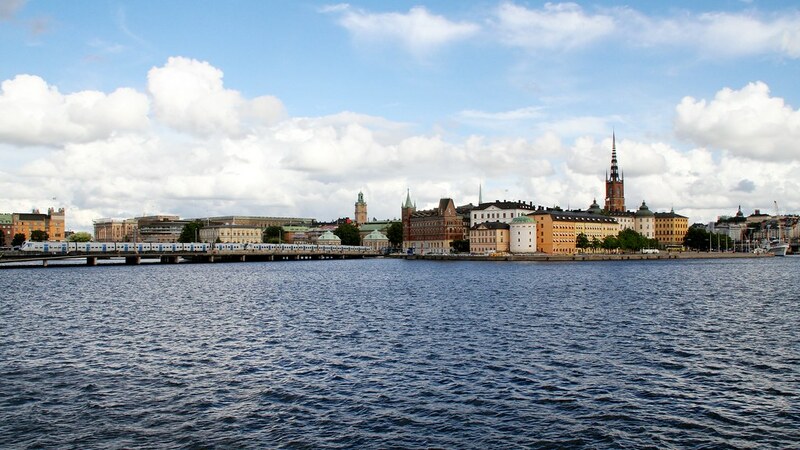 This bridge is apparently the only one in the world with shops continuously lining both sides of the street — no gaps for public spaces, unlike similar bridges elsewhere. 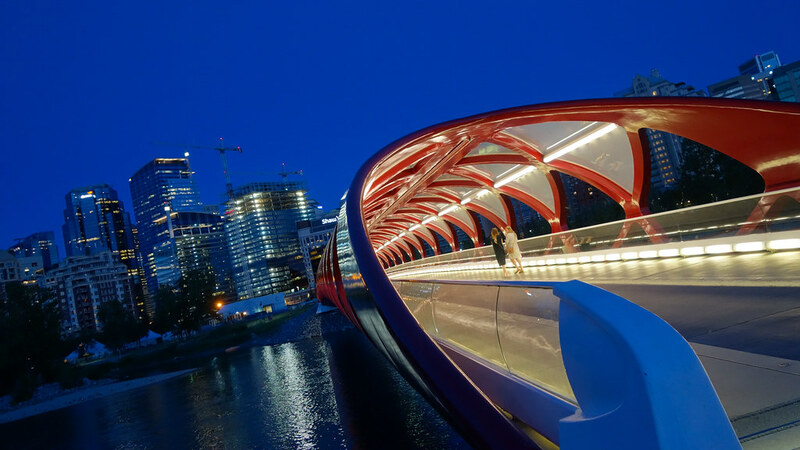 Digging (somewhat) deep into the archives for this 2008 image of the 12th Street Bridge in Calgary’s Inglewood neighbourhood … or I should say the old bridge, as this structure was removed from its pilings last month. 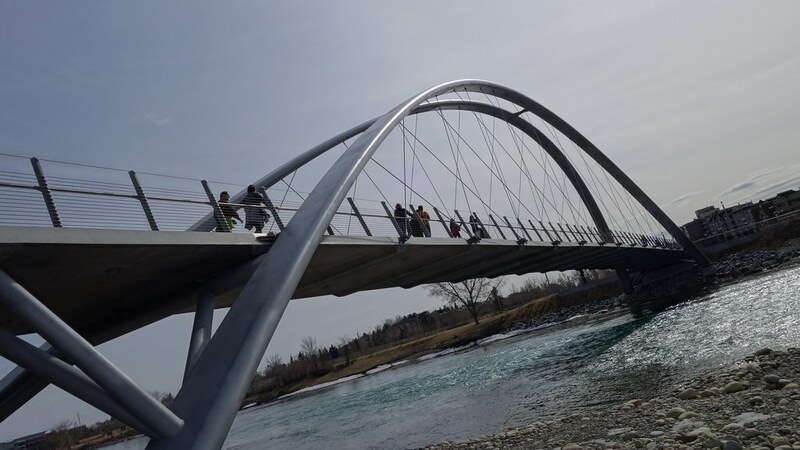 The bridge, which connected Inglewood with the Calgary Zoo, was damaged in the 2013 flood and a replacement is in the process of being built. 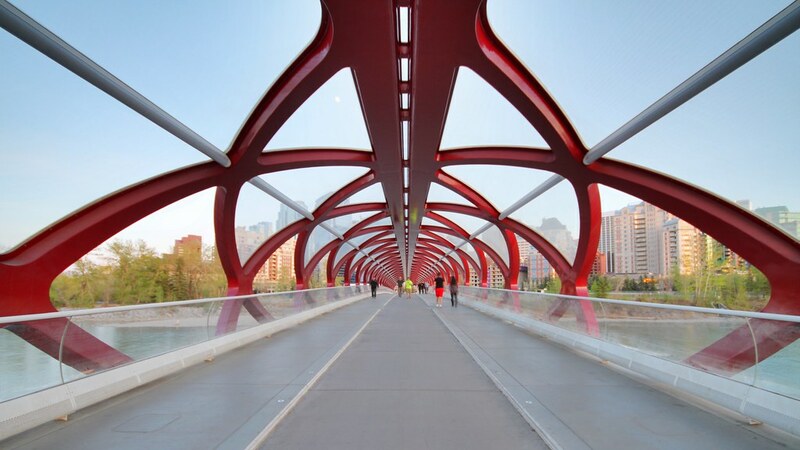 I might be going out on a limb here … but wide-angle lenses and Calgary’s Peace Bridge are a match made in heaven. 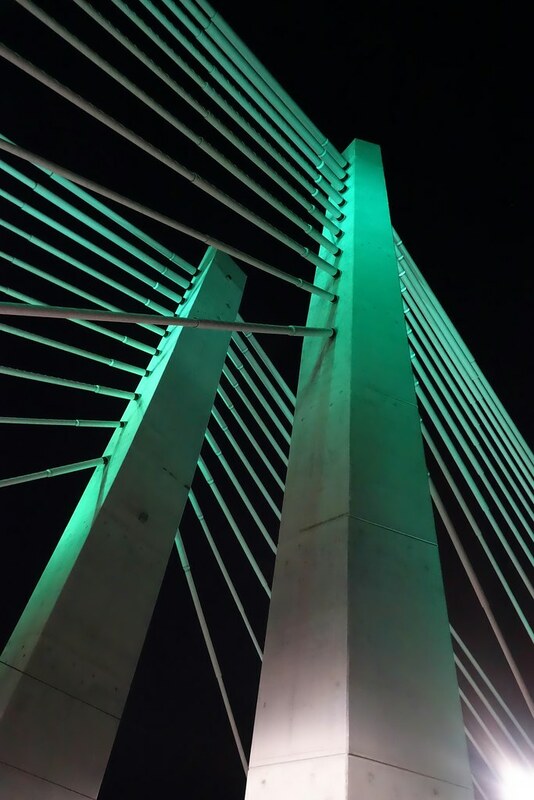 This striking structure is part of Tillikum Crossing, the newest bridge across the Willamette River in Portland, Oregon. Opened to traffic in fall 2015, it’s reserved for use by MAX light rail Orange Line trains, Portland Streetcars, cyclists and pedestrians. It is the first bridge of this sort in the United States, according to TriMet.